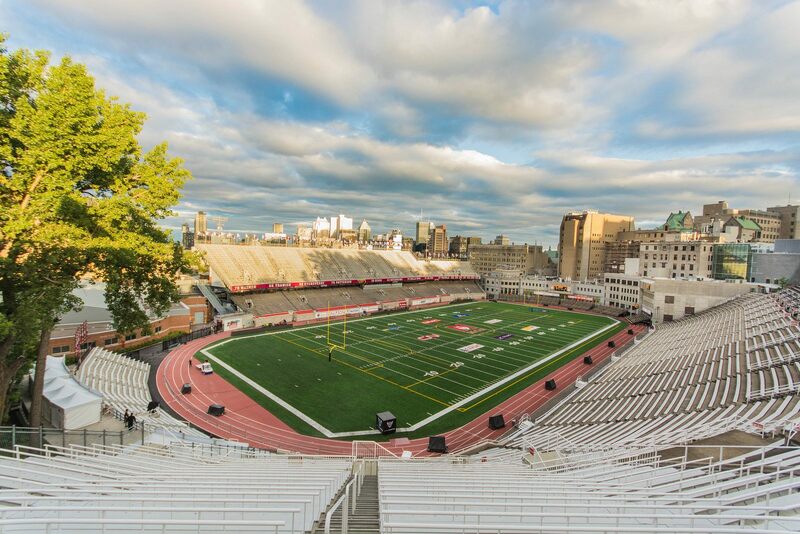 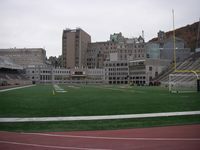 The most centrally-located stadium in Montreal belongs to McGill University and dates back to 1914, when it was delivered (opened later). One of its initiators was local athlete Percival Molson, who later died during the WWI. 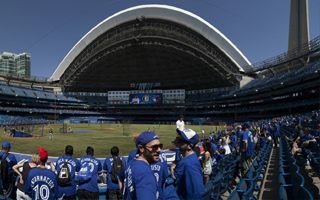 His will left the university $75,000 for sports infrastructure, which could cover ¾ of the stadium’s entire budget and prompted renaming from initial name to honour Molson. 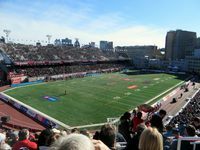 Initially the stadium had only one large terrace in the west, entirely resting on a natural bank of Mount Royal. 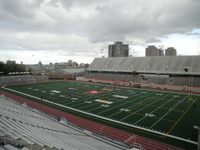 As natural layout was used, the stand remains very steep to this day, even after being expanded upwards with steel/concrete elements. On the other side of the stadium is a double-tiered stand, though it only received the upper deck in 2009, following the latest major expansion that set capacity above 25,000. while the stadium retained its initial athletic track, there’s so little room for it that there are only 4 lanes for runners. 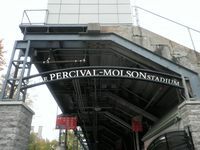 The south curve is very distinctive for its dense architecture. 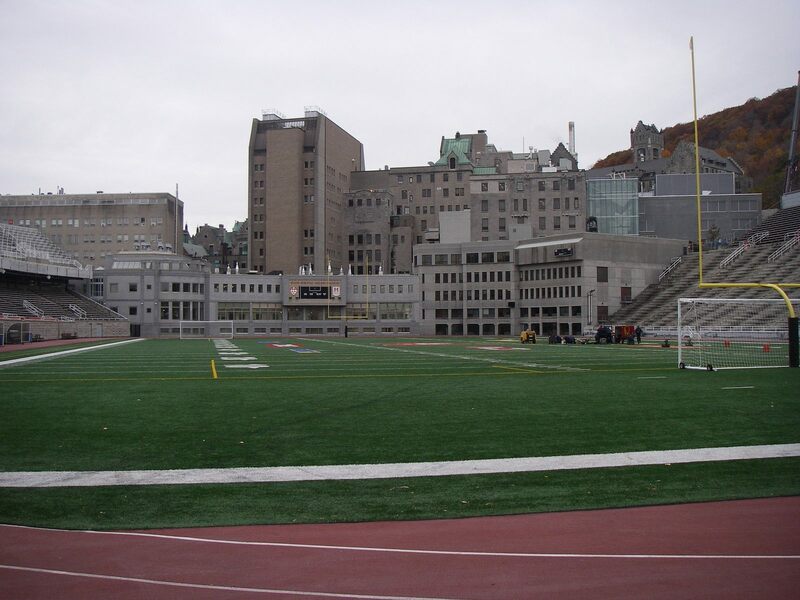 These buildings hold McGill University’s Neurological Institute and Hospital. 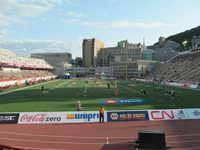 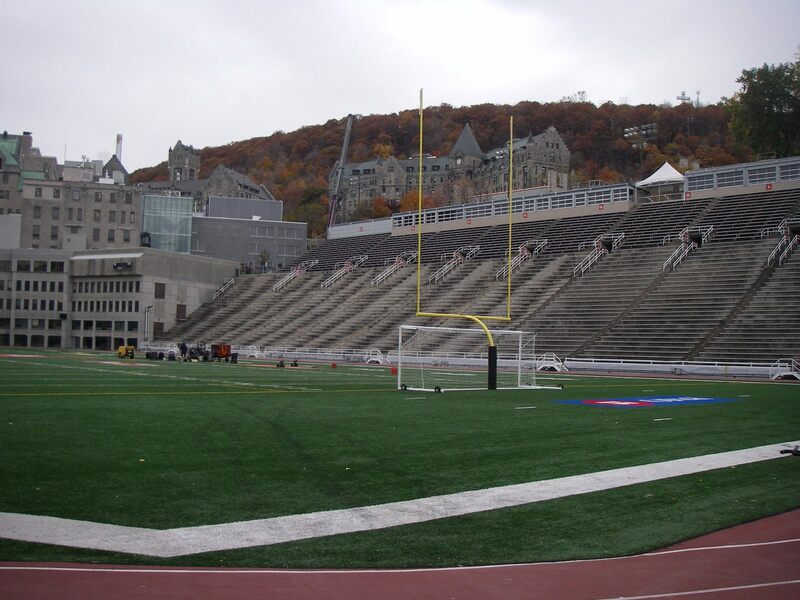 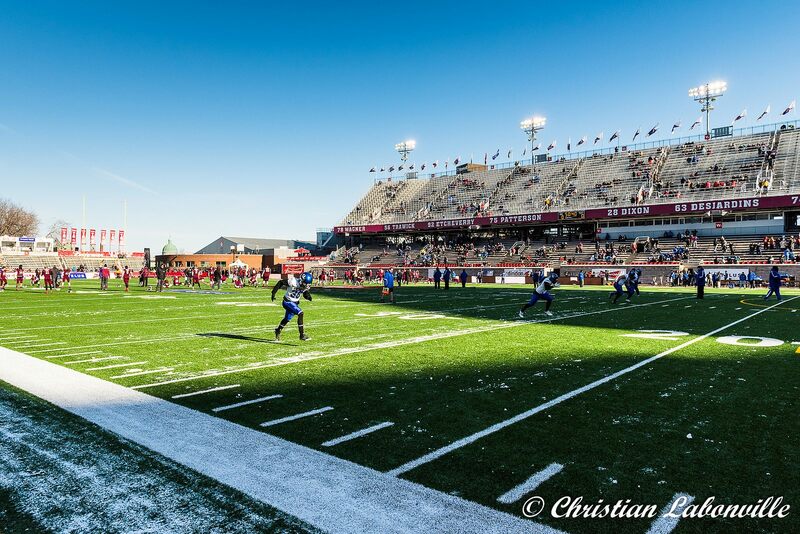 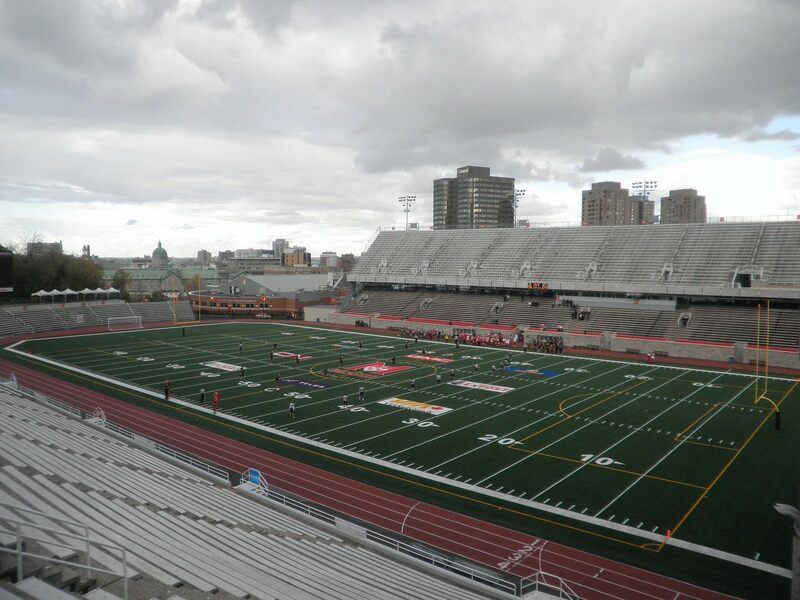 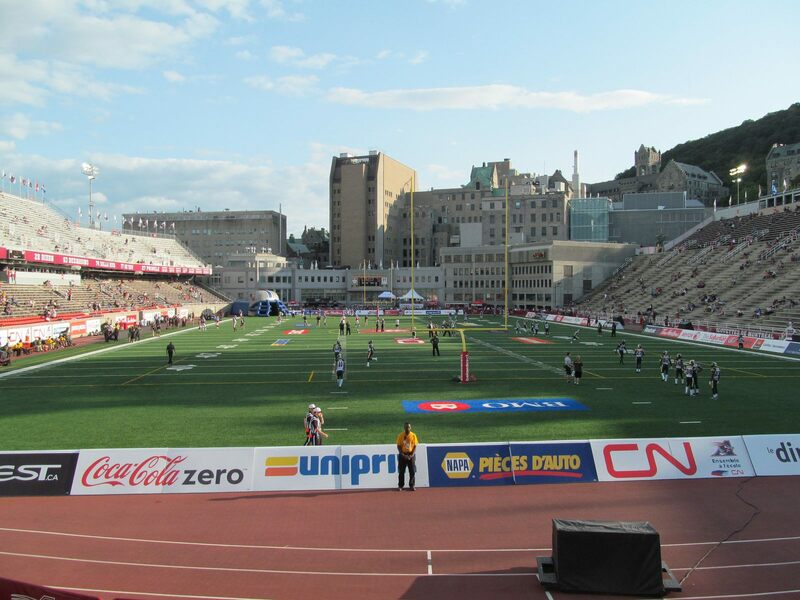 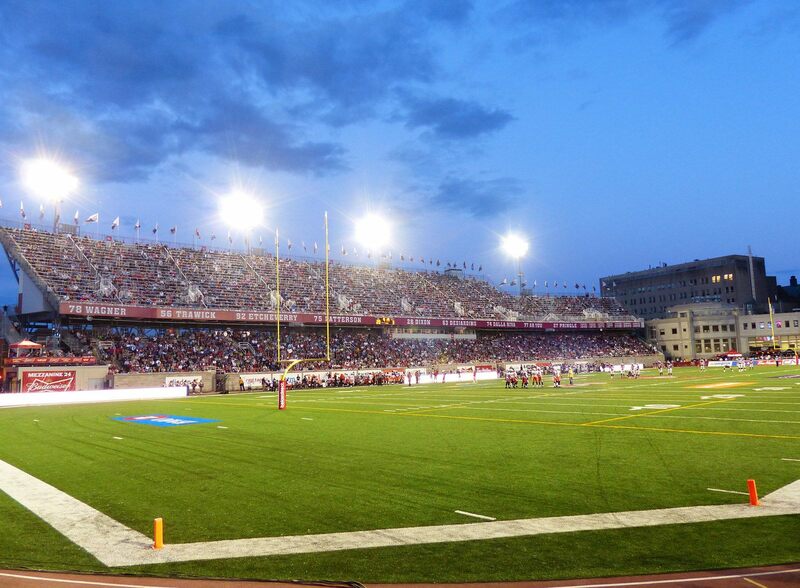 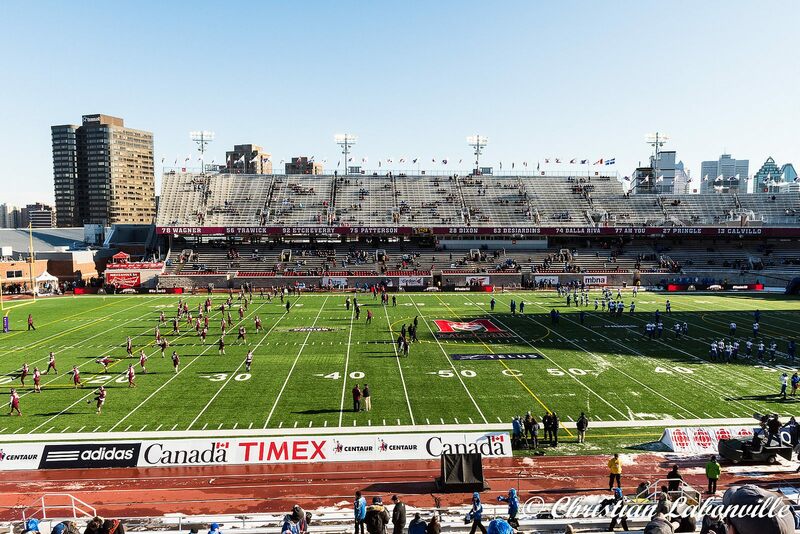 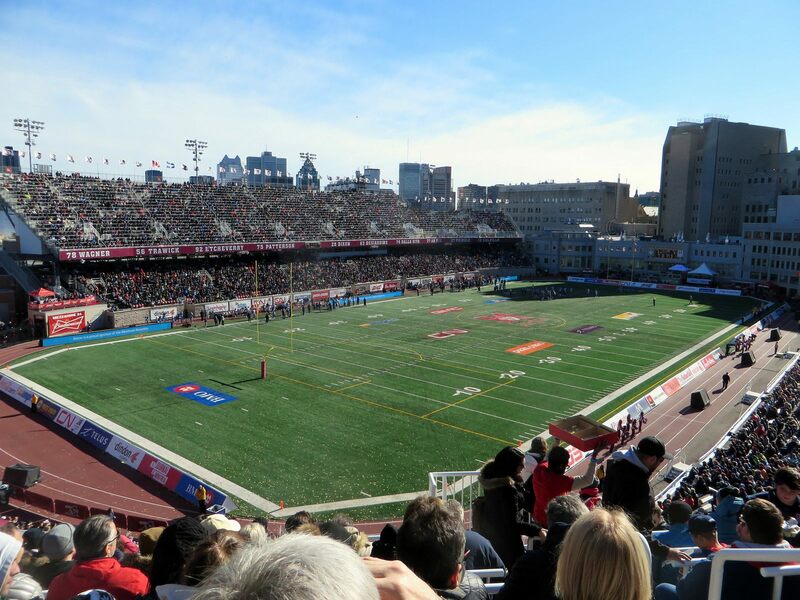 The university and its athletes remain primary tenants, though the most recognized team locally is the CFL side Alouettes, who play all regular season games here. 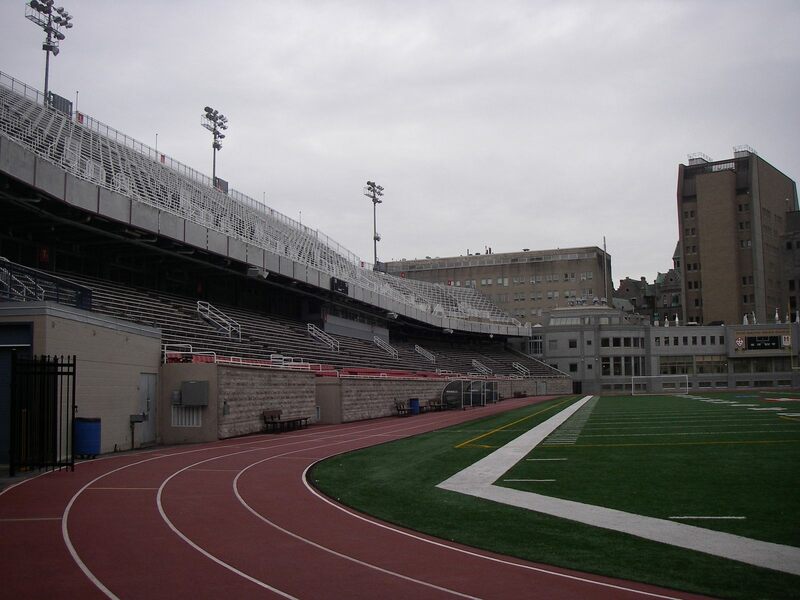 Only in the play-off round the team relocate to Montreal’s Olympic Stadium.